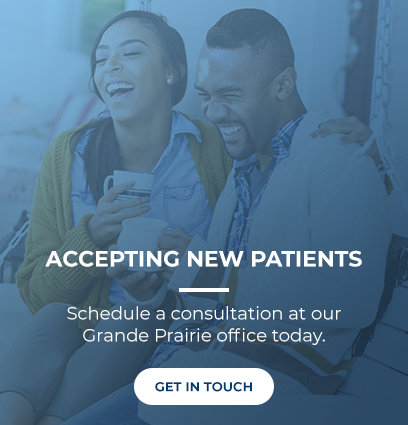 At Ortho 101 in Grande Prairie, our Orthodontist Dr. Chana offers patients Clearline aligners for patients interested in straightening their smile. Similar to Invisalign, Clearline aligners are made from plastic. The aligners are removable and virtually clear. Dr. Chana will use a series of customized Clearline aligners to help shift your teeth on a predetermined schedule to straighten your smile over time. We recommend that our patients wear their Clearline aligners for at least 22 hours a day, removing the aligners only to eat, brush and floss.